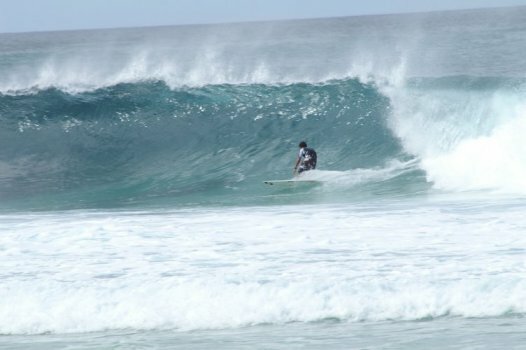 Of course, surfing is one of the favorite activities of Hawaiian residents and visitors. 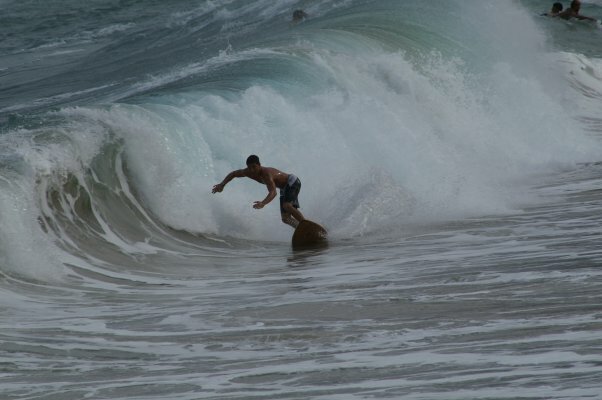 We didn't get to see the kids trying their hand at it themselves, but Henry did get some great action photos of strangers in the gorgeous waters around O'ahu. 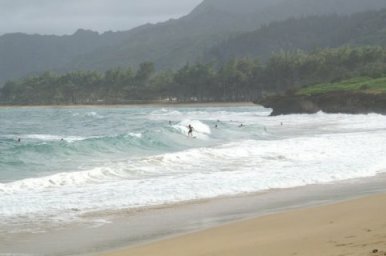 We headed up to the north shore on our first full day on the island, hoping to see some top international competition, but the contest scheduled for that day was cancelled due to the small size of the waves. For us Gulf Coast-ers (and New Englanders), however, they looked pretty big! And the non-pros that were out on them put on quite a show anyway. 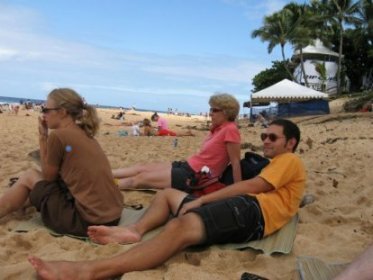 And there were usually friends watching from the shore, as well as us strangers. Most, if not all, of the surfers we saw were men. The women weren't crazy enough to go out there and get beat to pieces! 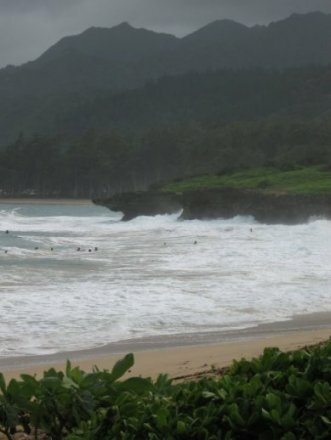 The next day we watched some surfers at Sandy Beach, just east of Honolulu, after being warned by more than one local expert NOT to try it ourselves. Apparently the surf is notorious there for breaking right on the beach and beating up surfers to a fare-thee-well. It didn't discourage the folks below, though.